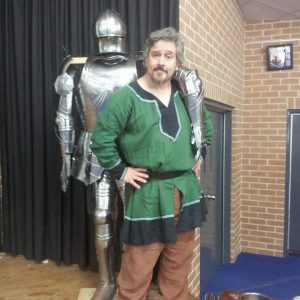 Your leading presenter, Ben Trezona, has over a decade of experience in presenting school shows and school incursions in Sydney. His shows are informative, educational and truly entertaining. 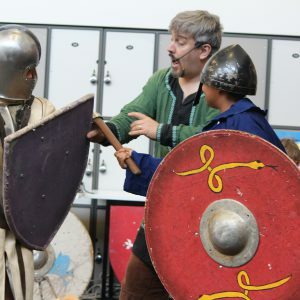 The central show is safe, supervised, highly interactive with a large array of props, weapons and costumes for your students to experience. Geared at the N.S.W. 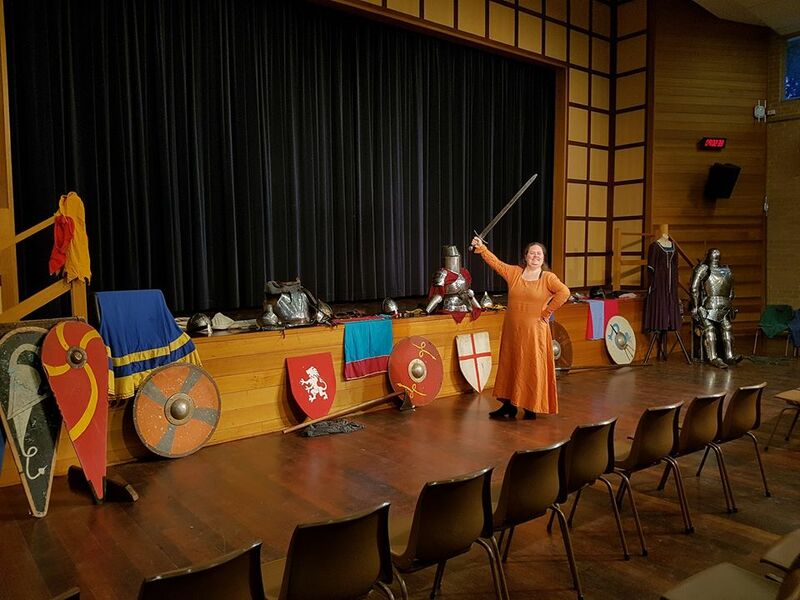 Year 7 /8 curriculum, we use visual, tactile and auditory learning techniques to help your students expand classroom facts into a strong, vivid, lasting three dimensional experience leading them to appreciate the people, cultures, and artifacts of medieval times in Europe and the middle east. 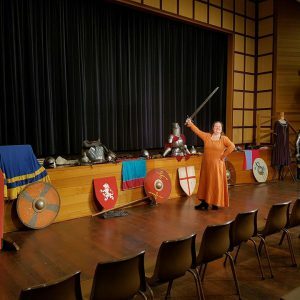 With our flexible format you can book our 90 minute central “Medieval History Show” then pick and choose from our list of “Added Value Shows” to create a unique half or even full day experience. A brief background to the medieval period. 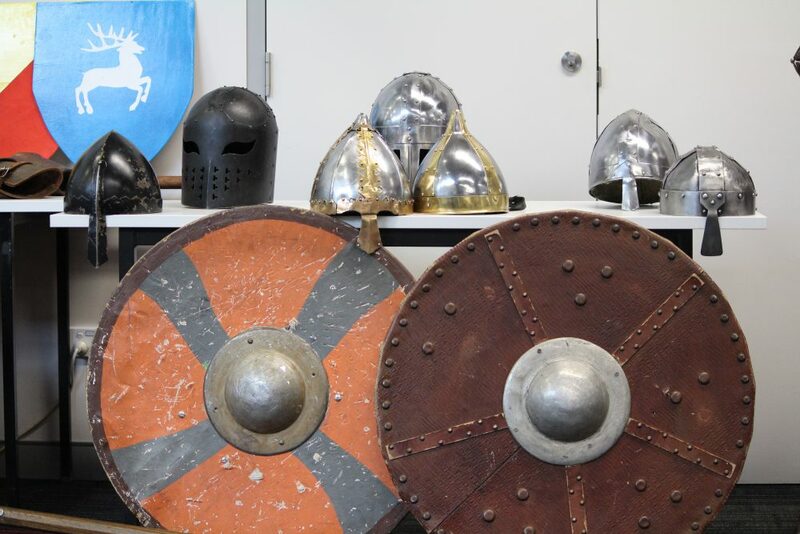 4 students armour up as Normans and Saxons to help demonstrate medieval martial arts and period battlefield experiences. Hands on experience for all. A 60 minute or 90 minute show with a real live court jester outlining the role of the “Fool” in the medieval court and throughout the ages. Social and political importance of The Fool in the medieval court. The role of Women in medieval performance. 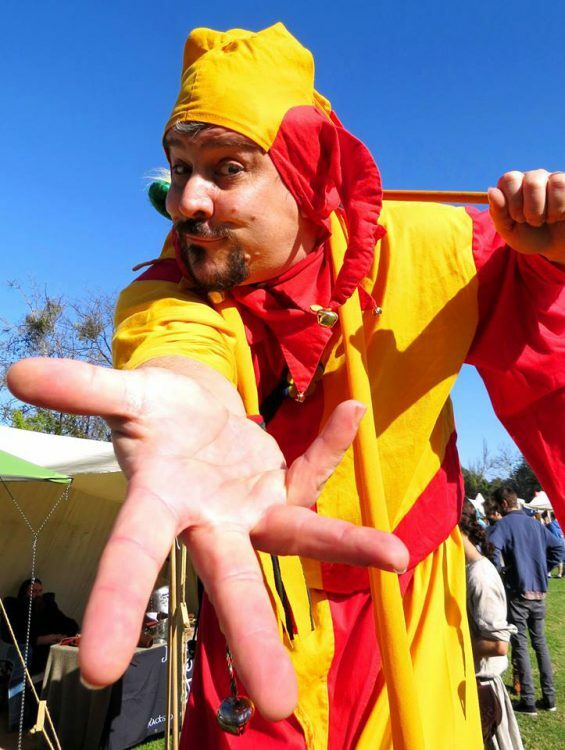 History and performance of Juggling and magic culminating in a hilarious interactive show. 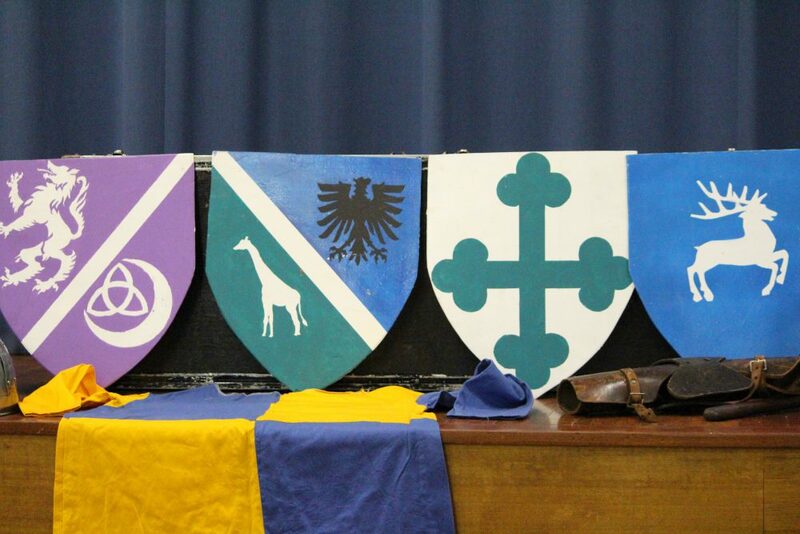 A 30 minute or 60minute workshop where the students create their own coat of arms while learning the art and rules of heraldry including the meaning of symbolism of the period. 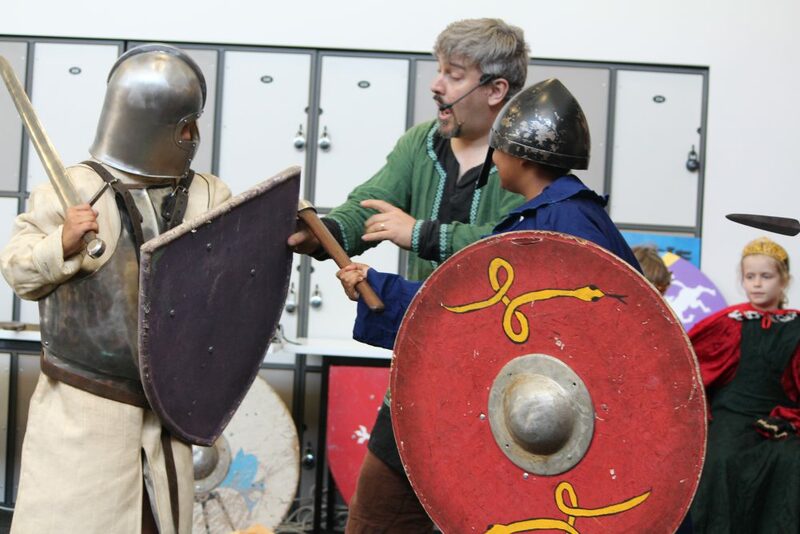 A 30 minute or 60 minute activity where the students are involved in an armoured relay race giving them a taste of the life of a squire. 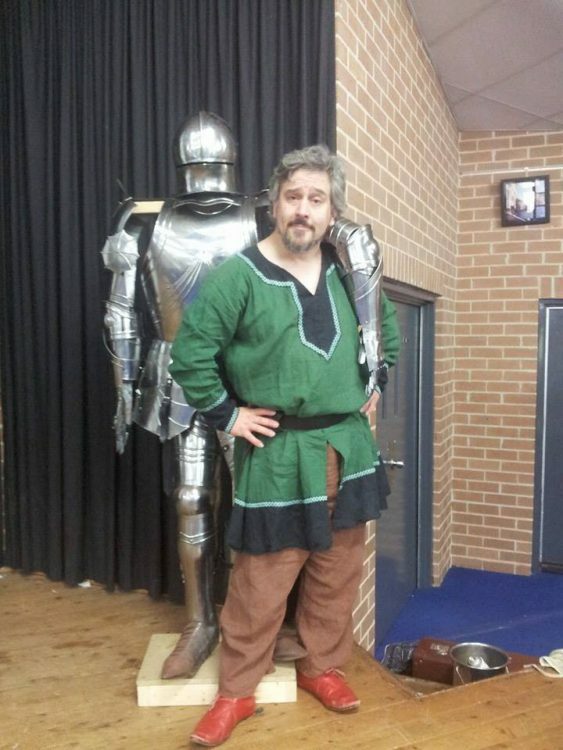 The 60 minute version also includes a knighting ceremony! Lady Diana can show your students how to make a basic T tunic, so that no one is left without a costume on Medieval Day. This is a 2hr workshop with kits supplied, where they learn a couple of medieval stitches and how to make the most of the material on hand (like every good medieval seamstress). Use of the textiles room is handy. Do you want a new, different and interesting form of fund-raising? Are you looking for fun, fresh team-building workshops / activities? Do you need a reward for your behavioural enrichment program? Or maybe you are just looking for some new, novel, end of term entertainment? Have you ever wished for a fun, exciting event where most of the work is done for you? Just plug and play? Here at Rampant Entertainment, we have a cavalcade of light, fun, different, tailor-made show options. We are able to delight, entertain and enlighten while helping your school raise much-needed funds. Our team building and workshop activities are suitable for students and adults alike and ask the question shouldn’t development be fresh fun and safe? Most importantly shouldn’t it be easy? We think children and adults should have every opportunity to develop a range of skills in a fun, safe, friendly environment. We have a range of workshop ideas that aid development in a variety of ways including building up self-confidence, coordination, self-awareness, unusual fine and gross motor skills and communication skills. Fitting into either the English, Creative Arts, PDHPE, or HSIE syllabuses our workshops are an interesting, bright and novel way of nurturing these skills and meeting N.S.W. Syllabuses for the Australian curriculum outcomes in both Stage 2 and 3. Regardless of what it is you need, Rampant Entertainment have everything you require and have been managing and performing school specific events for well over a decade so we can ensure that your event is in safe hands.